The very top choices in the layout section are critical because these choices determine exactly how the file is converted to Word. The “Retain Flowing Text” selection creates a file that is easily editable in Word, so use this selection if you plan to do extensive editing in Word. You’ll need to do some clean up in the resulting file, but it’s much easier to work with. This selection also converts any PDF headers and footers to the equivalent in Word complete with page numbering. If you have an interactive PDF table of contents, it is converted to a Word table of contents, so it can be easily updated. Section numbers are converted to automatic numbering in Word with built-in paragraph styles and tables are converted to Word tables as well. On the other hand, if you need to get as close as possible to the exact layout of the PDF file, and plan to do minimal editing in Word, select “Retain Page Layout”. 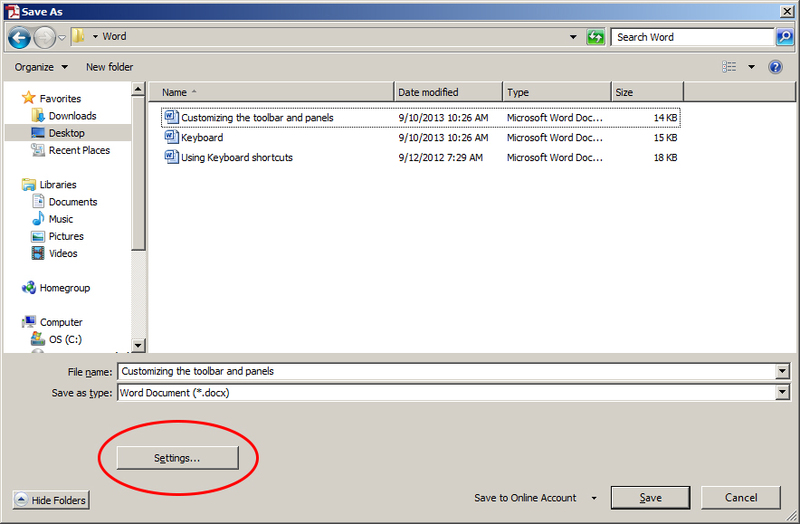 This will place the content in precisely located Text Boxes in Word. If you’ve ever worked a lot in Word, you know how challenging editing numerous text boxes can be. Also, none of the auto numbering, page numbering, or table of contents entries map to their equivalent in Word. If your PDF file is in another language, like Portuguese, make sure you set the document language prior to exporting the file. You can set this under File > Properties > Advanced Tab. 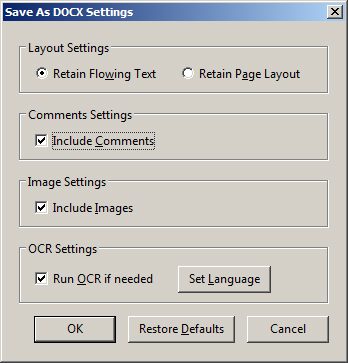 So, as you can see, the layout selections in the Save As dialog are critical in determining what type of Word file is created – one that is easily editable in Word or one that looks similar to the original PDF. Here is a video tutorial from my Learn Acrobat XI training series that walks through this in detail.